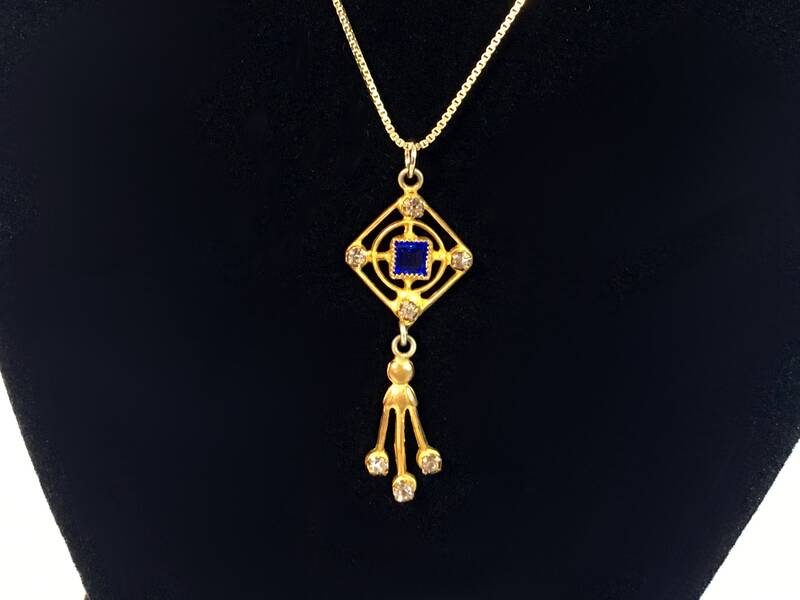 A vintage or antique Edwardian style lavalier necklace that features a dangling pendant. 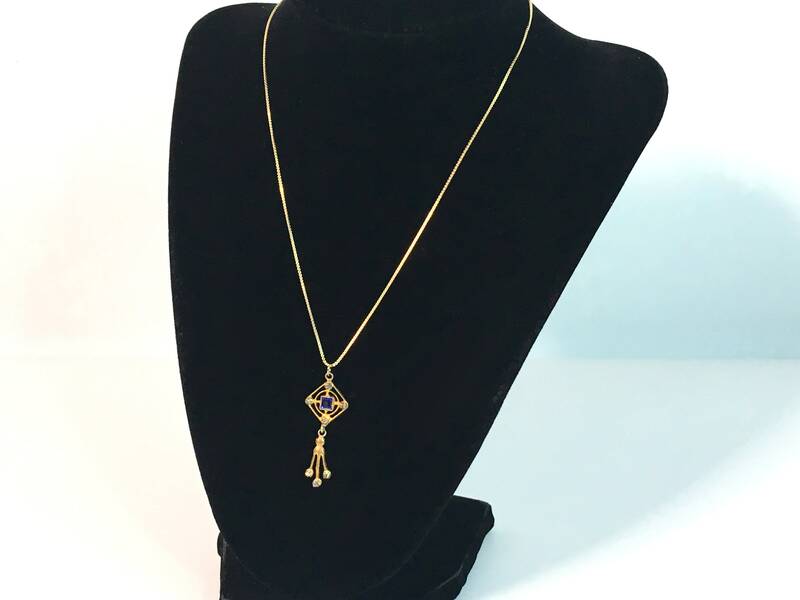 The pendant has an ornate open diamond shape design on the top that has a clear paste "faux" gem that is prong set at each corner. 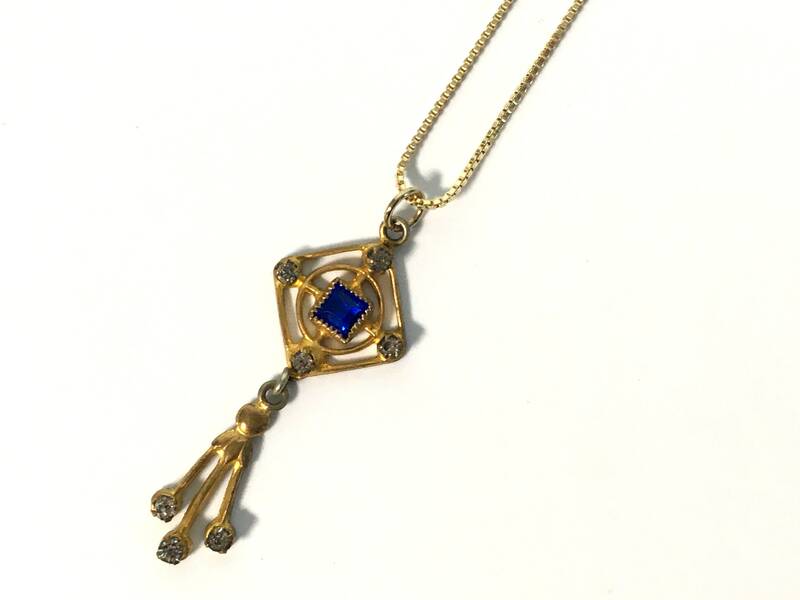 In the very center is a blue glass (paste) stone that is the color of a sapphire that is bezel set in a square shape. (The term paste is used to refer to gemstones made of various kinds of cut glass.) 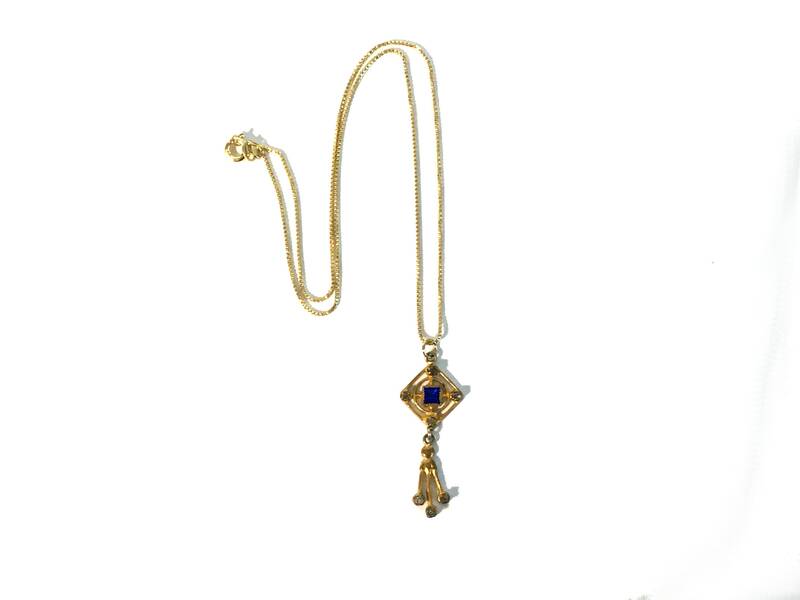 The pendant itself is made of a gold tone metal and hangs on a vermeil (gold over silver) chain. Below that there is a loop where hangs a dangle with three Vertical drops. At the end of each of these drops is another clear paste faceted stone. There are 7 clear paste stones all together. 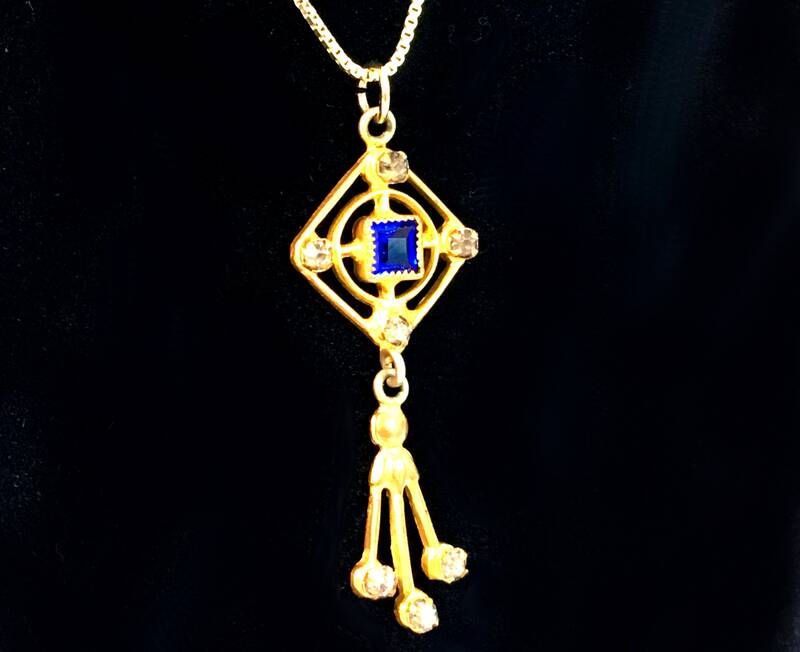 The pendant hangs from a marked 925 Italian Silver box link chain that is vermeil. 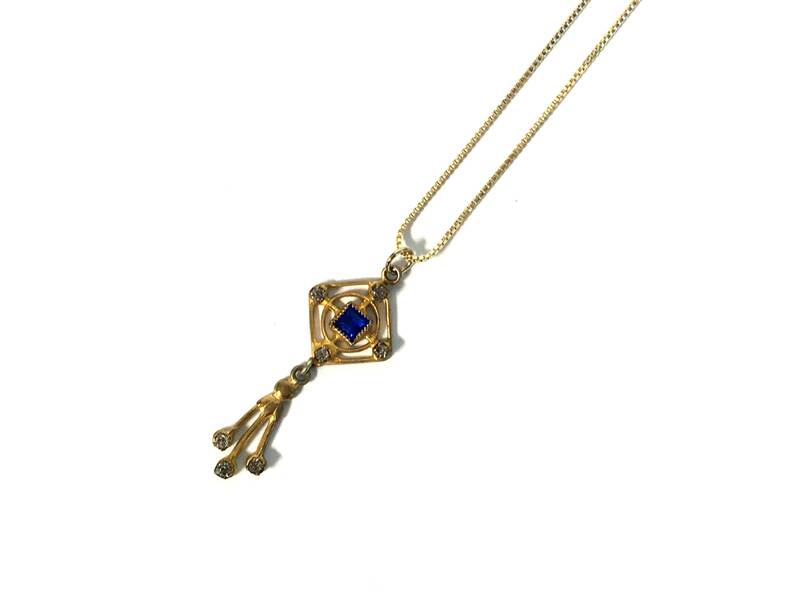 Vermeil means that this chain is made of silver and plated with a thin layer of gold. The links on the chain are a dainty size. The chain is marked 925 for Silver on a loop near the clasp. The clasp is also marked 925. The spring ring clasp opens and closes securely. The pendant size is approx. 1 1/2" long x 3/8" at widest point. 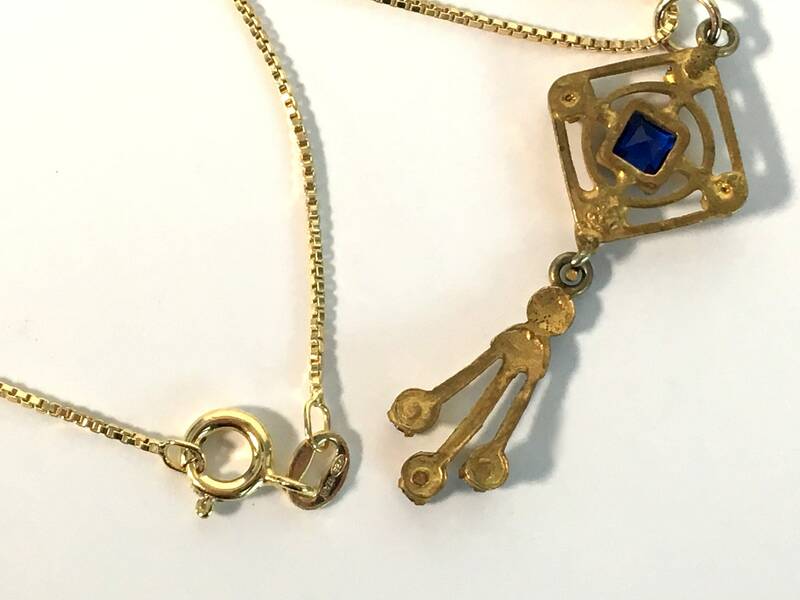 The vermeil box link chain is 15" long. 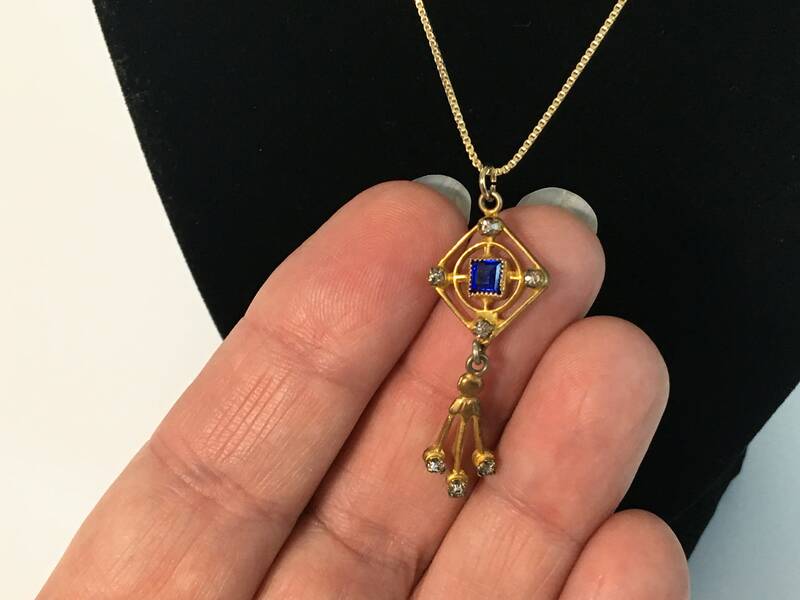 This antique pendant necklace is in good condition with wear commensurate with age. Still looks wonderful!